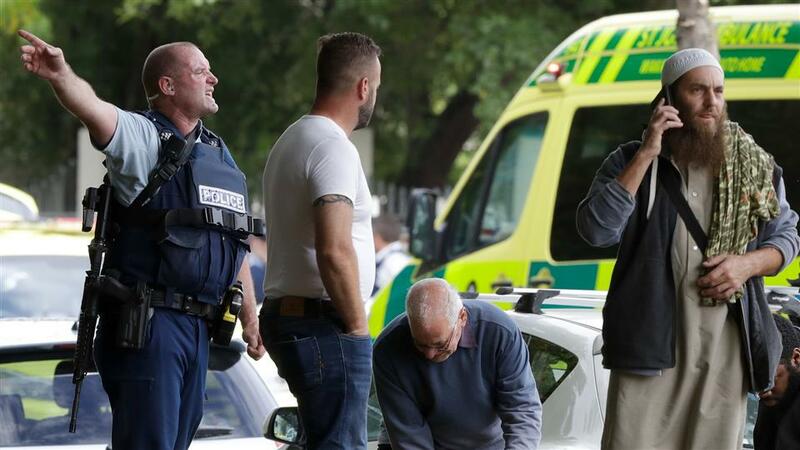 The Vishwa Hindu Parishad UK strongly condemns the shootings in New Zealand mosques as act of pure evil. A tragedy not just for victims and their families but of our times. In a world of plenty, and opportunity, closed ideologies which remove plurality cause such senseless violence. While people are entitled to challenge doctrines in any faith that they do not agree with and while free speech is an important tenant of liberal democracies, the line must always be drawn at violent reprisal. Violence is never a solution. We express our heartfelt solidarity with the victims’ families and with all who are mourning for their loved ones and their devastating loss. We all now need to show that we are capable of transcending fear, hate and violence to move to unite and respect all faiths. 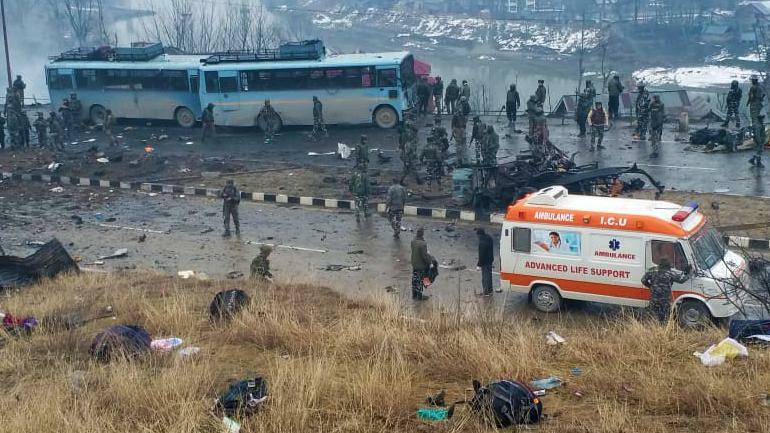 On behalf of VHP (UK), we would like to offer our prayers for eternal peace and sadgati to the 45 CRPF jawans who lost their lives tragically and in unnecessary circumstances as a result of the suicide attack in Pulwana district of Kashmir, India. We also pray that those who were injured, recover fully and quickly. We offer our heartfelt and sincere condolences to the bereaved families and pray that Parmeshwar gives them strength and resilience to bear this tremendous and calamitous loss with dignity and fortitude. As British Hindus with strong links and connection of our members with India, we strongly condemn this cowardly and brutal attack by Jaish-e-Mohammed, a terrorist organisation. It is well reported that this organisation is based in Pakistan and therefore, we urge the British Government and British Parliamentarians to place unreserved pressure upon the Pakistani Government to bring about a radical change and swift eradication of all terrorist bases operating from their country. In addition, we urge that such pressure is made to bear, at those financing, colluding and aiding terrorist activity against India and its citizens. Accordingly, we urge global leaders on behalf of their respective countries, to stand in solidarity at this time and echo the sentiments above, by way of doing whatever they can in stopping international terrorism. In mark of remembrance, all our centres nationally will be offering prayers and condolences this weekend. Diwali on Trafalgar Square (DOTS) is brought to you every year by The Mayor of London, with the Diwali in London Committee (DIL) as organising partner. The DIL Committee currently comprises of several organisations working together in harmony. Below is a brief overview of each member organisation of DIL and also weblinks to their websites. Note DIL is not responsible for the websites of its member organisations. This year we are priviledged to have our VHP Ilford Branch heading the team organising the Diwali in London event at Trafalgar Square. ” The President and Trustees of the Vishwa Hindu Parishad UK, (VHP UK) strongly condemn the cowardly attack, on the 22 March 2017, which killed and injured innocent people while targeting the very heart of our democracy in Westminster. The attack has shocked and saddened not just our community, but communities world-wide. The prayers and thoughts of the all Hindu community are with those who have died or have been injured, their families and friends, our brave Police, Security and Emergency Services who put their lives on the front line to protect us and the NHS staff who are still heroically working to save those who have been attacked and injured. Our sincere and heartfelt condolences to the family of PC Keith Palmer, and all the other 3 victims who lost their lives in the incident yesterday. We continue to keep them all in our thoughts and prayers. On behalf of our organisation – Vishwa Hindu Parishad (UK) / the World Council of Hindus, I wish to offer our condolences to the people of France at the massive carnage your country suffered a few days ago in Paris. Our thoughts and prayers are with the families that have been bereaved, as well as with the families of those who have suffered injuries in this barbaric attack last Friday. We denounce unreservedly and unequivocally all acts of violence, and in particular of terrorism. In saying this and in offering our moral support to your people in their desire to uphold the values of democracy, secularism and freedom of expression, I know that I speak for all who belong to the Hindu faith.